Christie Williamson is from Yell in Shetland. Since 2003, he has been writing, publishing, and performing poetry in his native tongue of Shaetlan and in English. His first collection, Oo an Feddirs, was published in 2015 by Luath Press. He lives in Glasgow where he runs Tell it Slant Books. 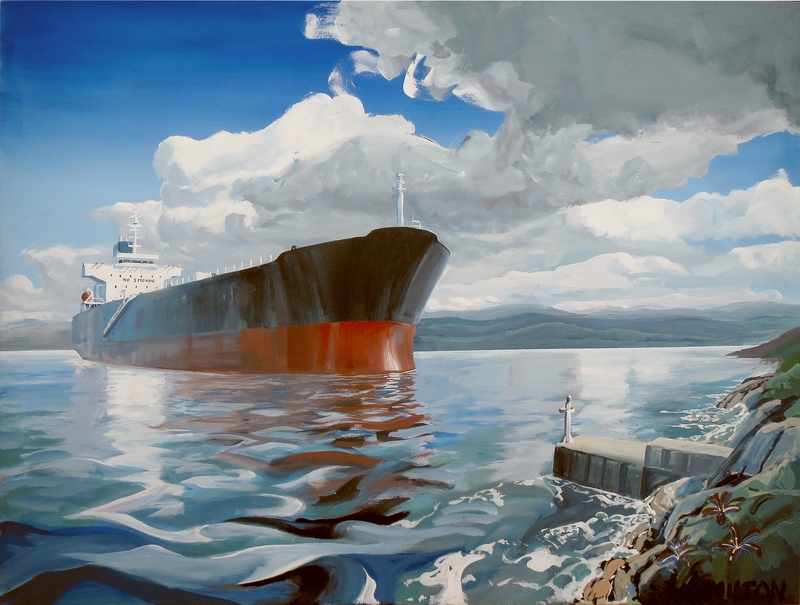 Image: “Nobody puts a picture of an oil tanker on their wall, do they?” by William Hamilton. Acrylic on canvas. No size specified. Before 2018. By permission.